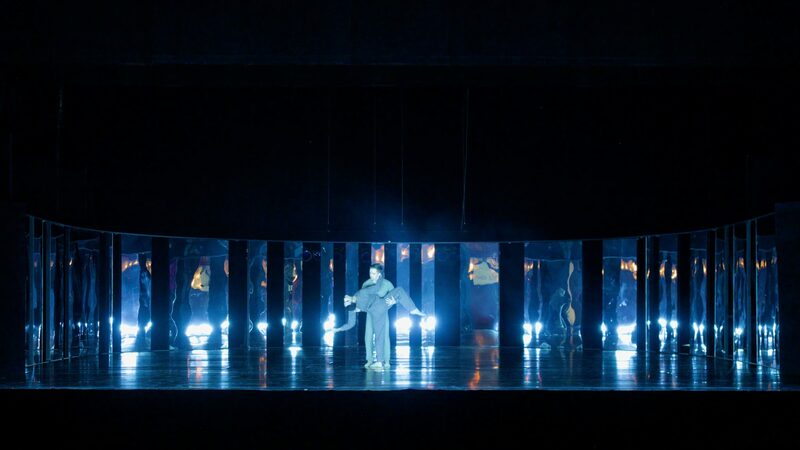 On the stage of the Oper am Rhein in Düsseldorf the ballet ‘New World’ by Robert Binet premiered in a program named ‘b.37’. In the moment the universe was created the elements collide. The Canadian Robert Binet has chosen three pieces by New York-based composer Nico Muhly as his inspiration for ‘New World’. The composer collaborated earlier with Björk and Philip Glass. Binet fuses the extraordinary story of the creation of the universe with contemporary reality. The set by Shizuka Hariu is a semi circle of mirror stripes. Above it floats a slowly lowering cloud of fluffy cotton. 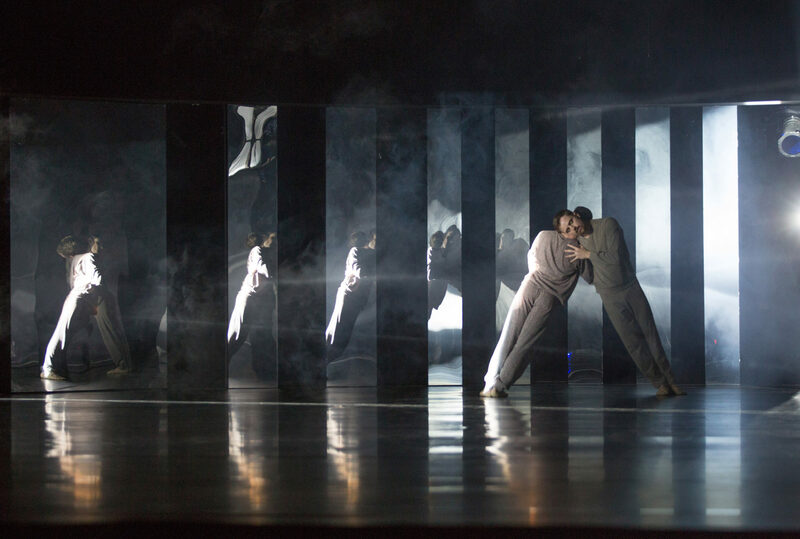 The light in this performance starts as an intruder, shining from the outside through the mirrors. Slowly the light starts to come more and more from the inside. 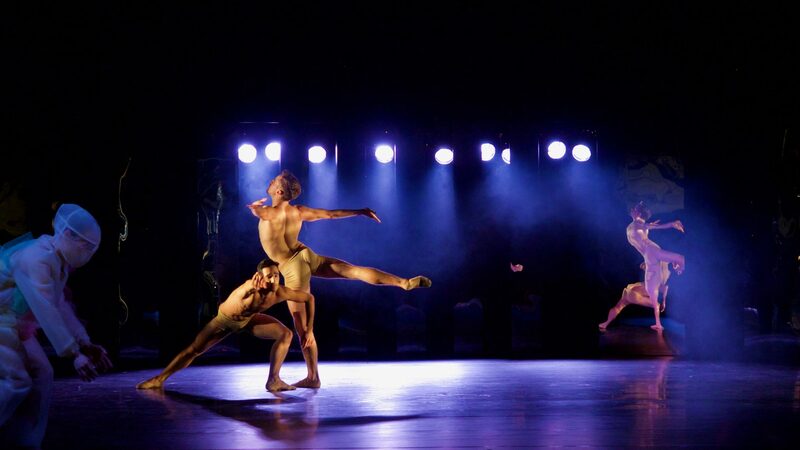 At one moment an intense source of light is lowered from the cloud, to illuminate the dancers from the centre of the mirrors. In the end the light extends to the whole stage and even the auditorium. While this New World is created, the audience cannot be a bystander, but has a duty to get actively involved.